The Sensepoint XCL is an easy-to-use, wall-mounted gas detector that is designed to deliver safety, compliance and affordability. Suitable for commercial and light industrial applications, the device has functionality to protect life and premises while ensuring compliance with safety regulations. With a sturdy casing, the device allows users to choose the sensor for the gas they need to detect. 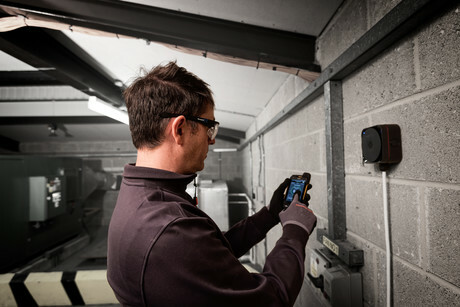 It uses Bluetooth connectivity to simplify the installation and commissioning procedure and reduce the costs associated with ongoing maintenance. Users can choose from carbon monoxide (CO), nitrogen dioxide (NO₂), oxygen (O₂), hydrogen sulfide (H₂S), combustible, carbon dioxide (CO₂), hydrogen (H₂) and ammonia (NH₃). If it is necessary to monitor for more than one gas hazard, several Sensepoint XCL detectors can be used in different parts of an operation. 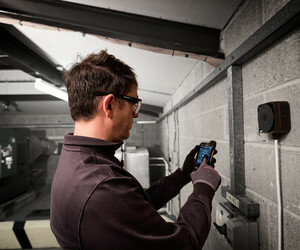 Whether it’s to protect a garage or a boiler room, a food processing unit or a fuel station, the device is designed to detect dangerous gases. 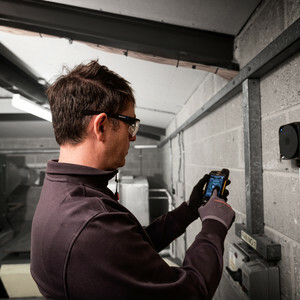 Sensepoint XCL connects wirelessly to a smartphone and app to allow it to be configured and maintained. In addition, it connects seamlessly with existing Honeywell controllers using industry-standard interfaces. Thermo Fisher Scientific is a Honeywell authorised distributor. I am interested in Sensepoint XCL wall-mounted gas detector .